"Ježiši, já s těma hercema nemůžu dělat!" 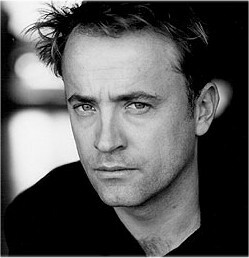 Simply said, David Nykl is an actor and he plays the character of Dr. Radek Zelenka in the Stargate Atlantis series. David is Czech-Canadian who was born in Prague. His family moved to Canada when he was two. He performs in theatres, movies and commercials. In the Czech Republic, he is especially known for his excellent performance in the role of the sciencist Zelenka. Thanks to him, we can finally hear Czech on Stargate! Who is Dr. Radek Zelenka? "Tak aspoň, aspoň tři mi dej!" 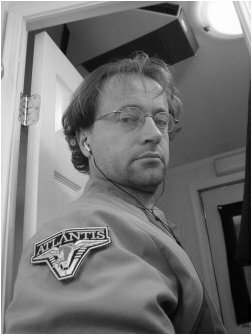 Dr. Radek Zelenka is a brilliant sciencist and engineer, expert on ancient technologies and the only Czech member of the Atlantis expedition. His specialties are basic systems of Puddle Jumpers, remarks and foul language in Czech and taunting his colleague Rodney McKay. "Do prdele, to je na hovno tohle to. Kdo to vymyslel, že budeme pod vodou tentokrát?" This is not David´s first visit to the Czech Republic. In the autumn of 2005, he visited Festival fantazie Special (see the photogallery) and also Festival fantazie 2007 (see the photogallery). Like then, you can now also look forward to a discussion, an autograph session and a photo session with David. If you are lucky enough, you may even meet David at the bar for a chat. Be sure to visit the website of Festival fantazie, as Gatecon 2010 is a part of it. There you will find a lot of important organizational stuff as well as a summary of other programme lines of the festival. Besides, you need to visit this website for registration if you want to attend Gatecon.